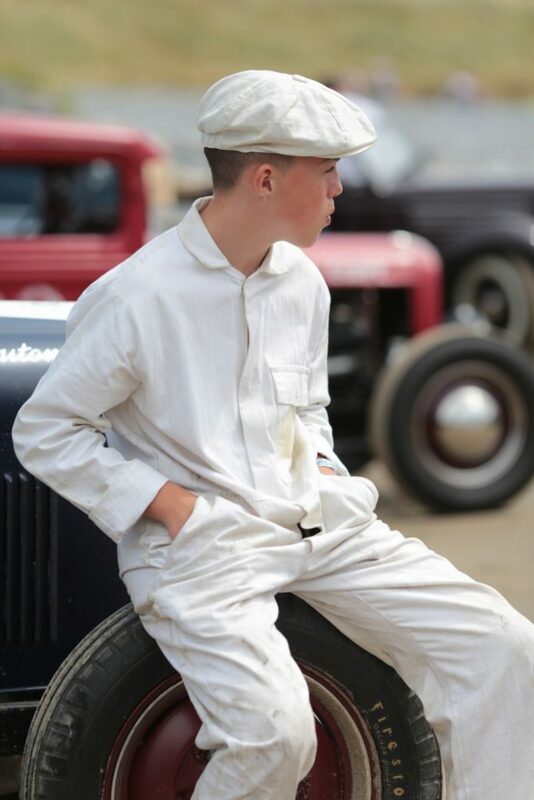 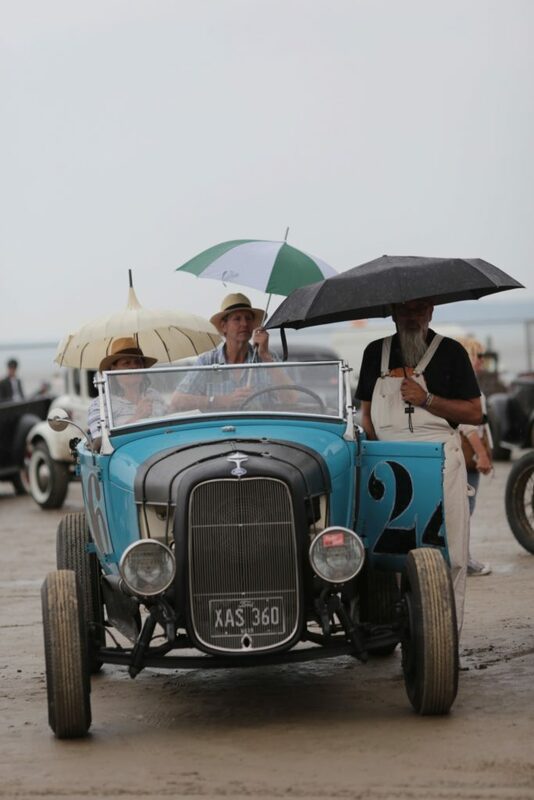 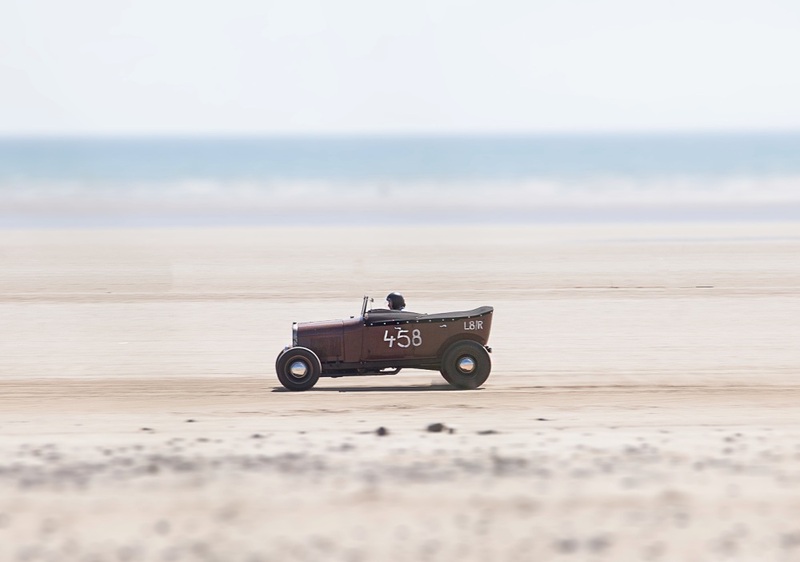 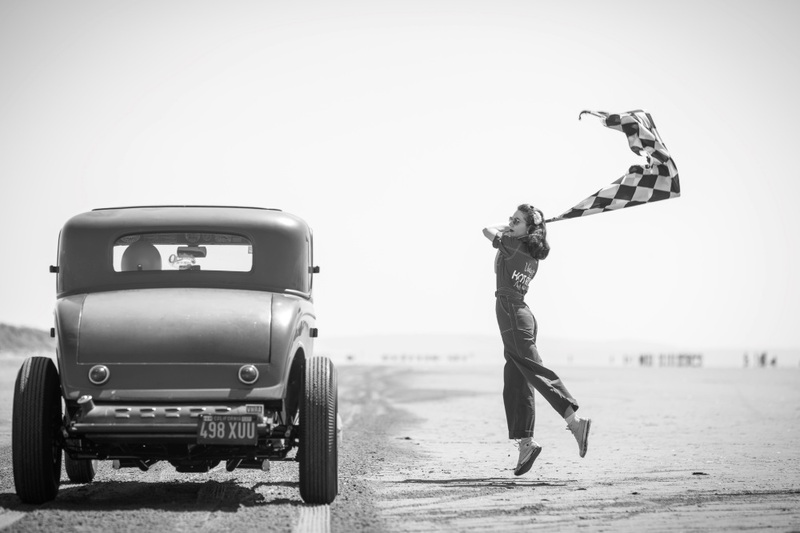 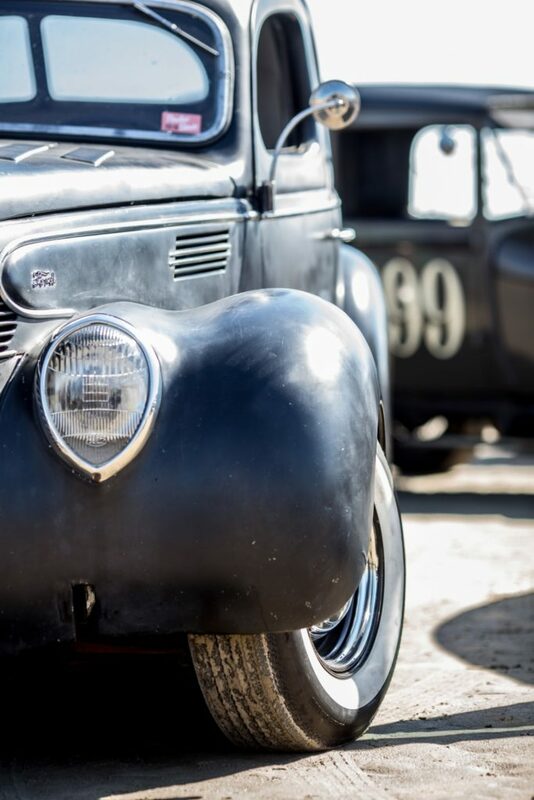 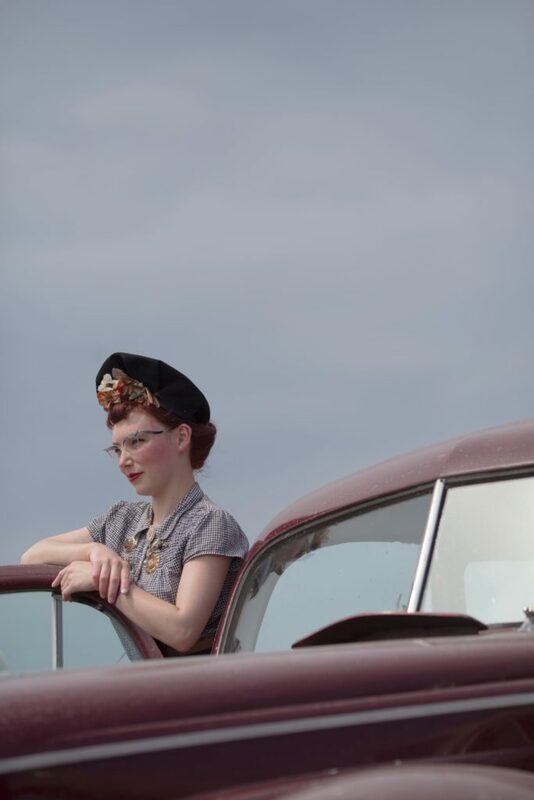 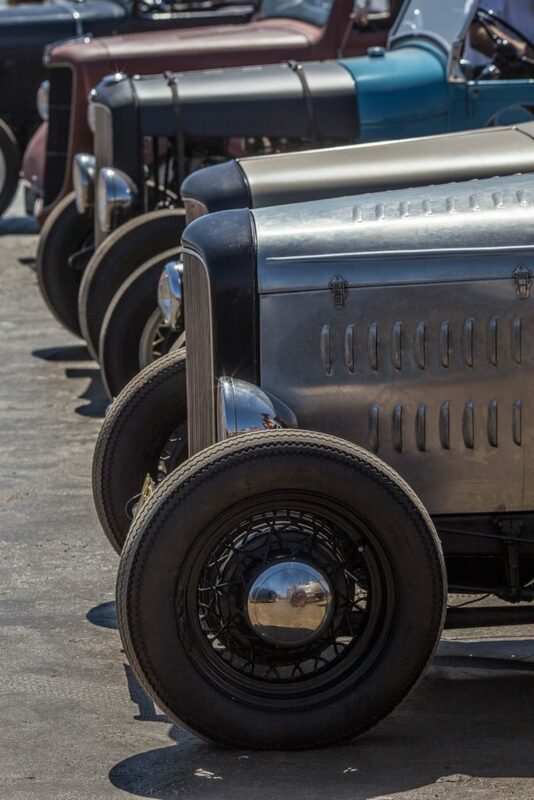 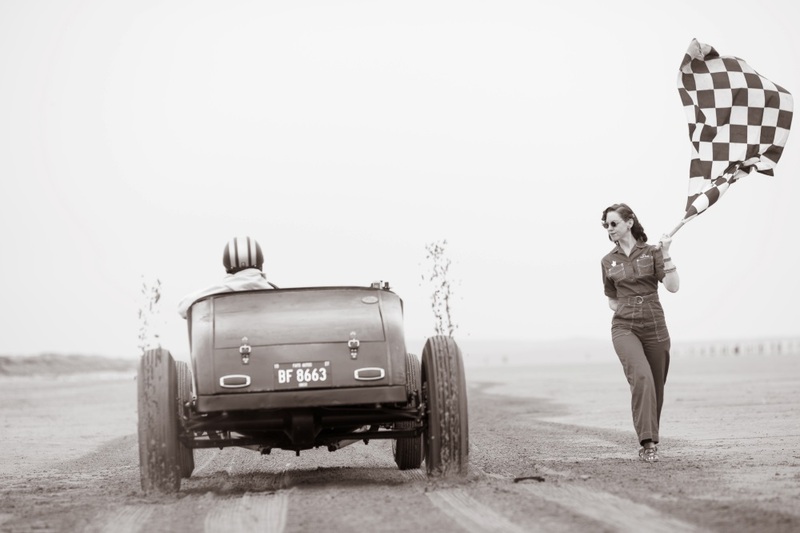 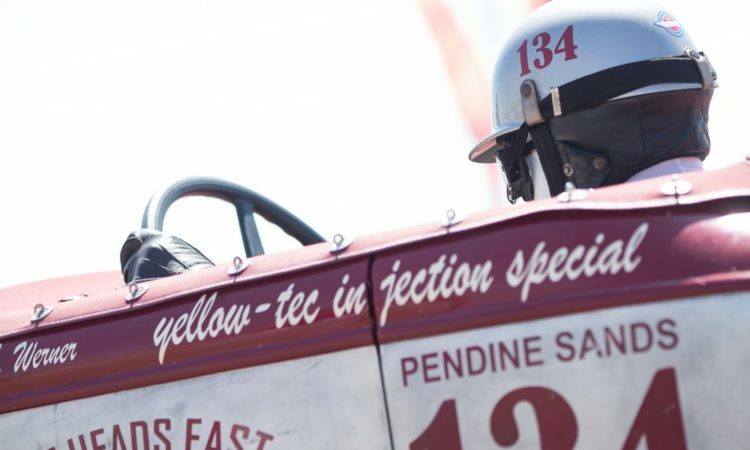 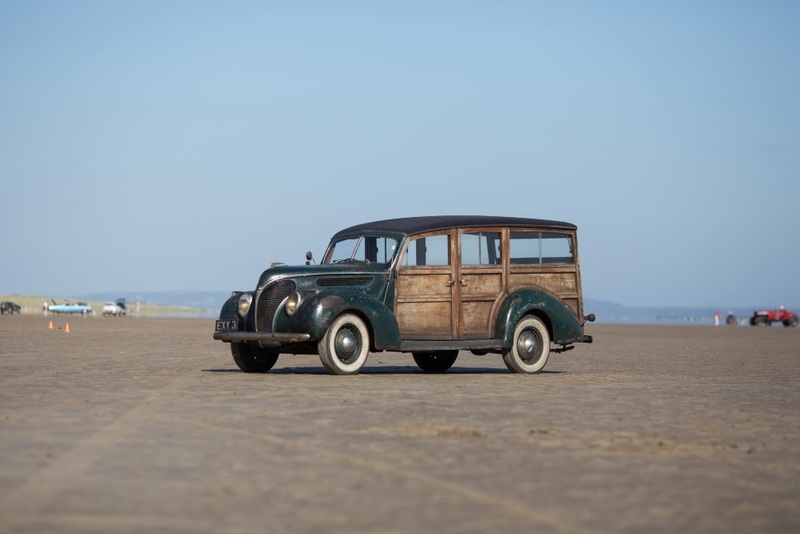 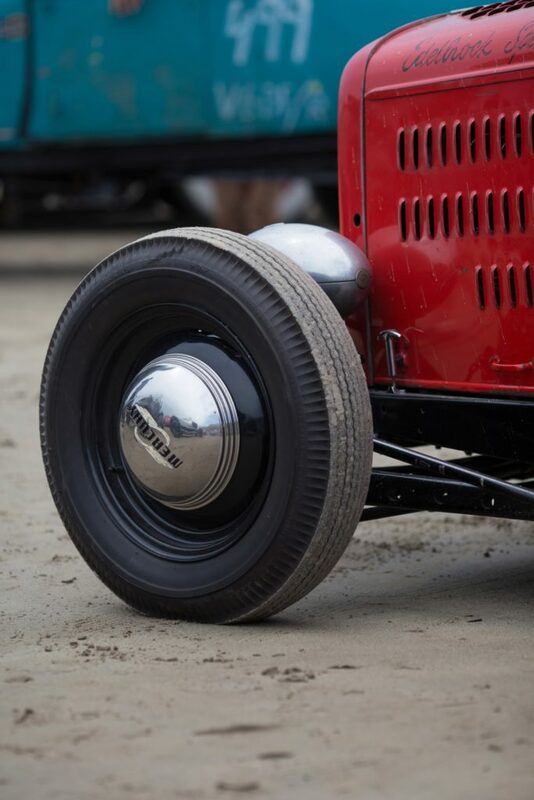 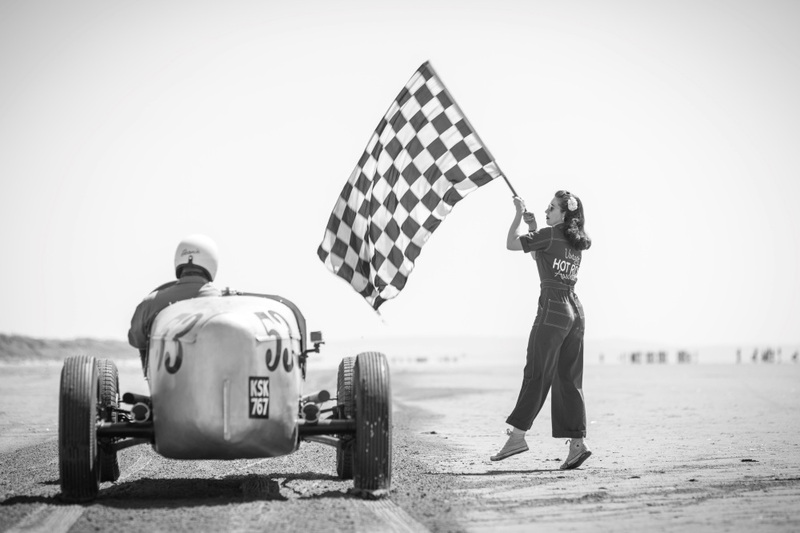 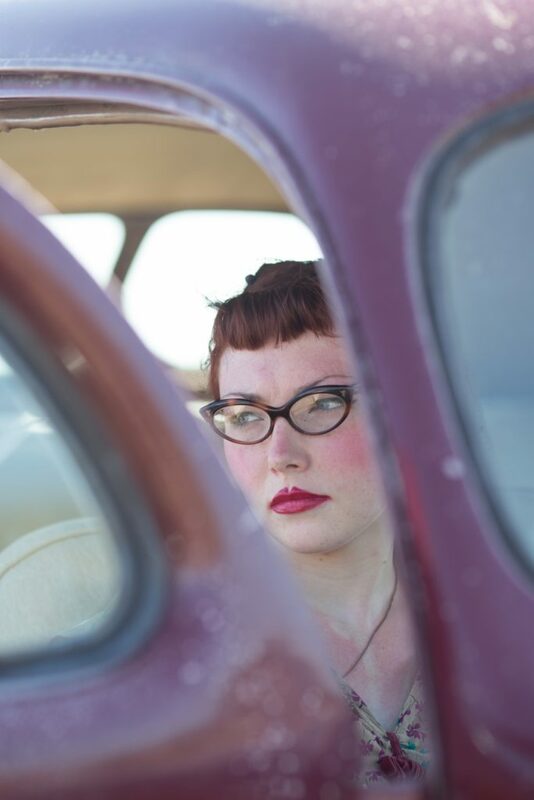 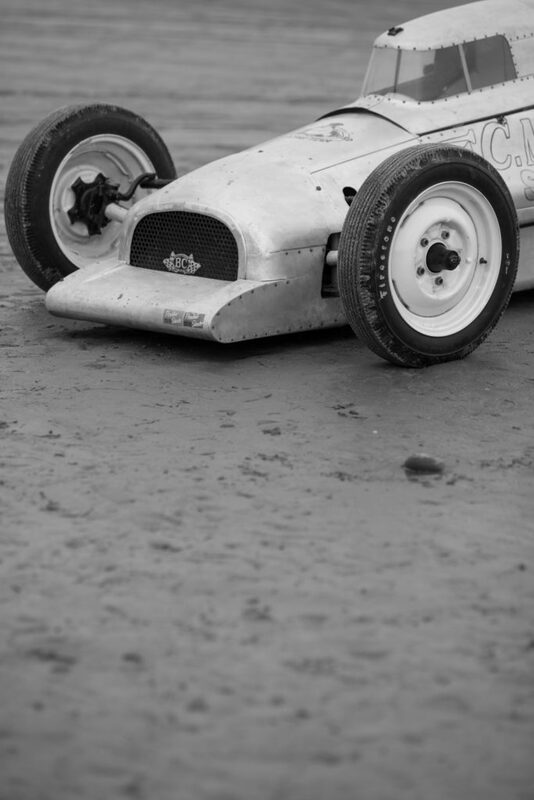 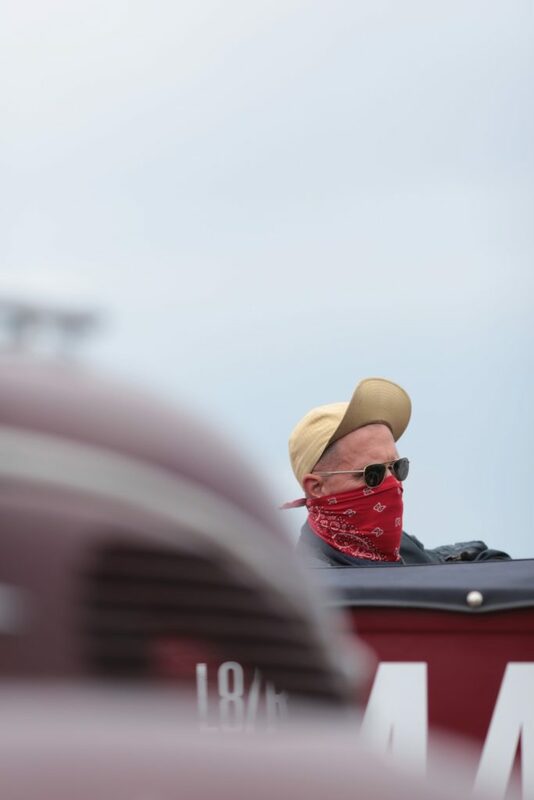 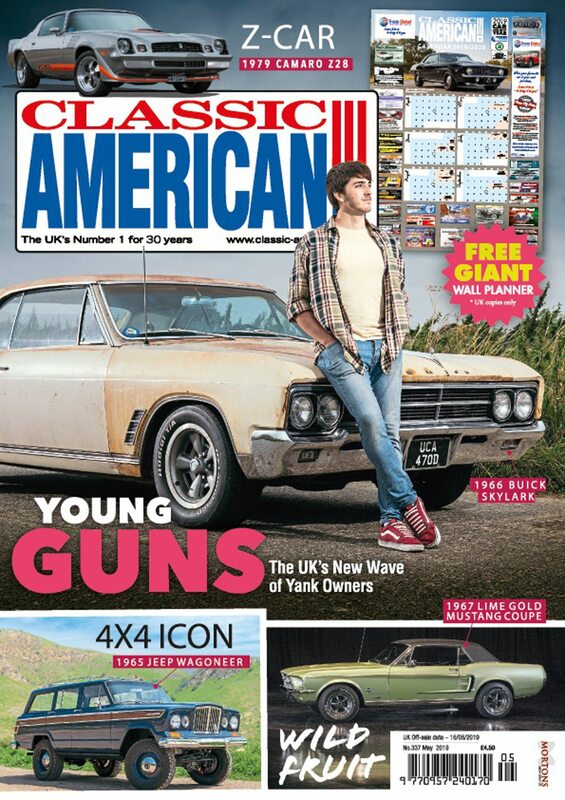 Pendine Hot Rod Races ,Pendine Sands, Wales, Words and Photography: John Isaac for Classic American Magazine. 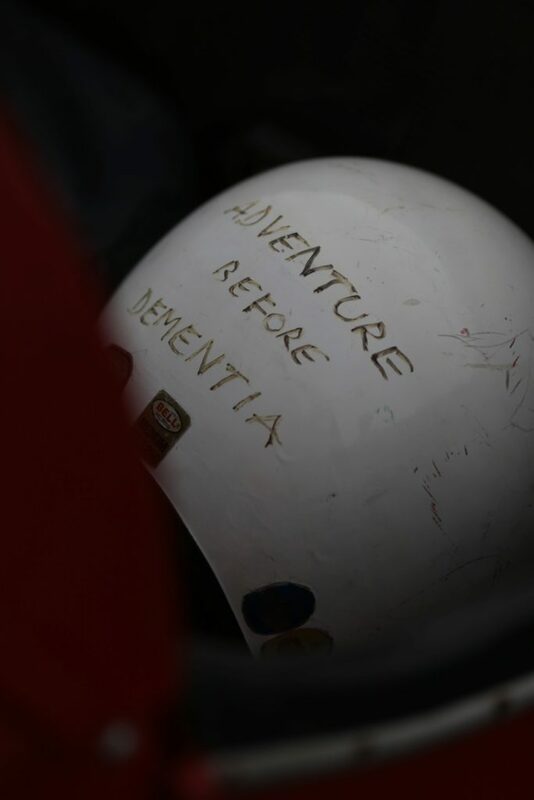 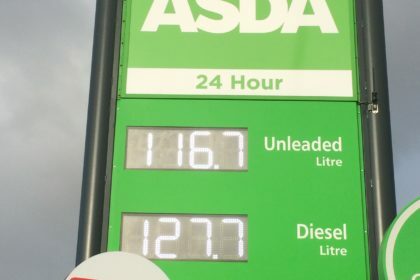 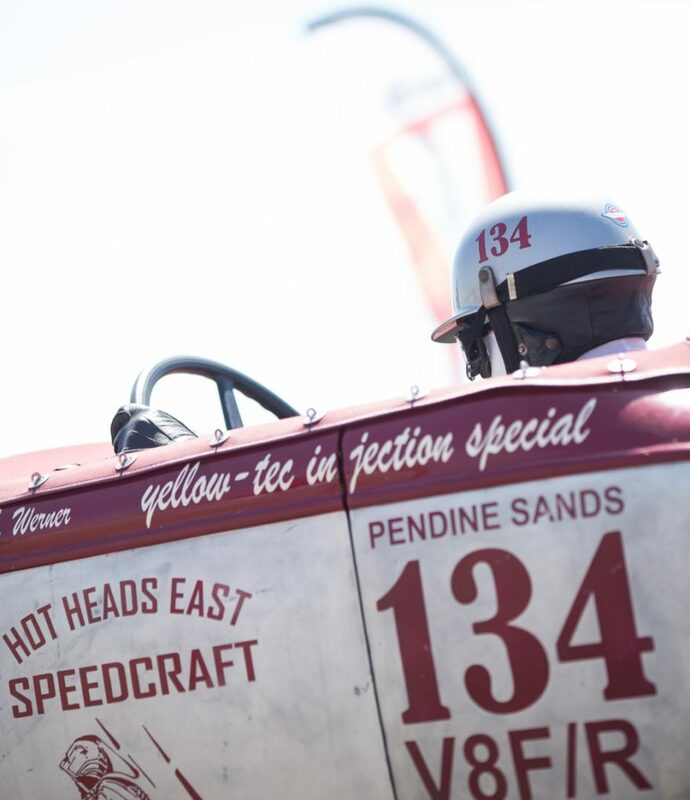 The event has grown so much over the years it has been running and this year’s event benefitted from the lessons learnt in this now pioneering event. 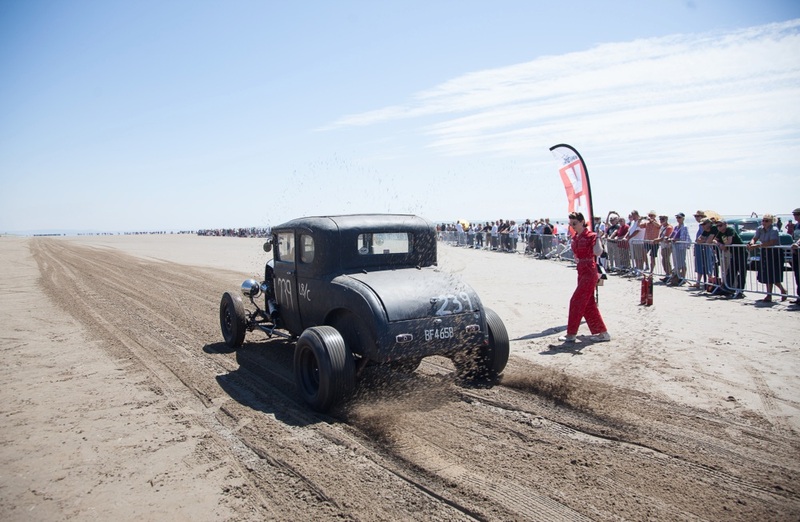 The scramble for postal only applications when announced in November has become almost an event in itself with race slots being limited by tides and numbers entered, the postal only race application keeps it fair for everyone though. 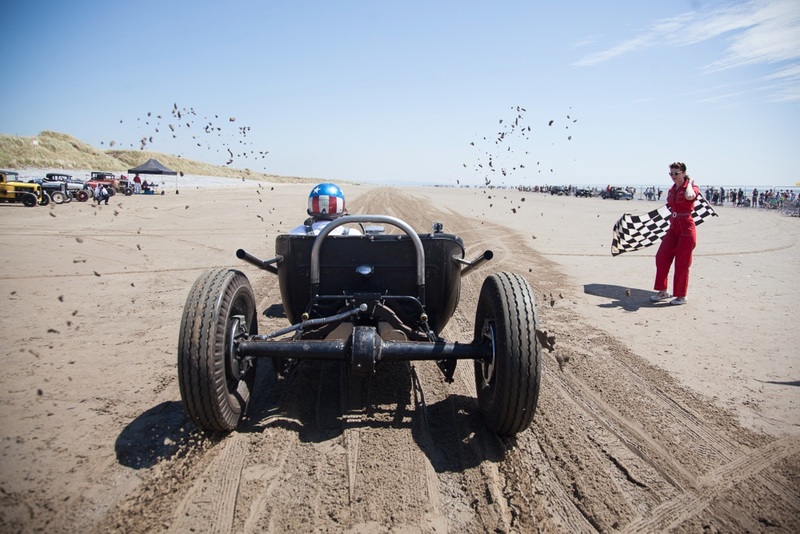 Slick marshalling from the Sidewinders club and VHRA saw cars soon hitting 100mph down the sands. 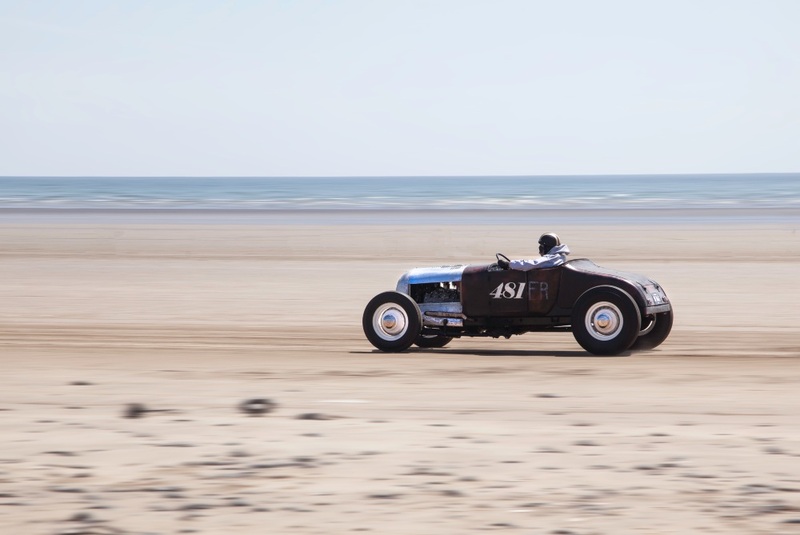 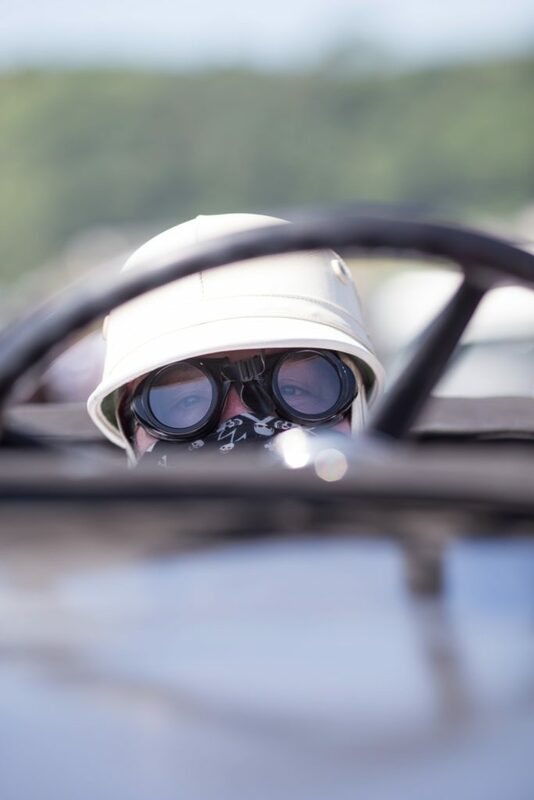 Neil Bennett in his Allard going 117mph , the blown gentlemen’s flathead racer solid all the way to Laugherne and back, the sun was doing its best to make Wales look like Southern California and the beach parking at Pendine was turning into an unofficial local custom show. 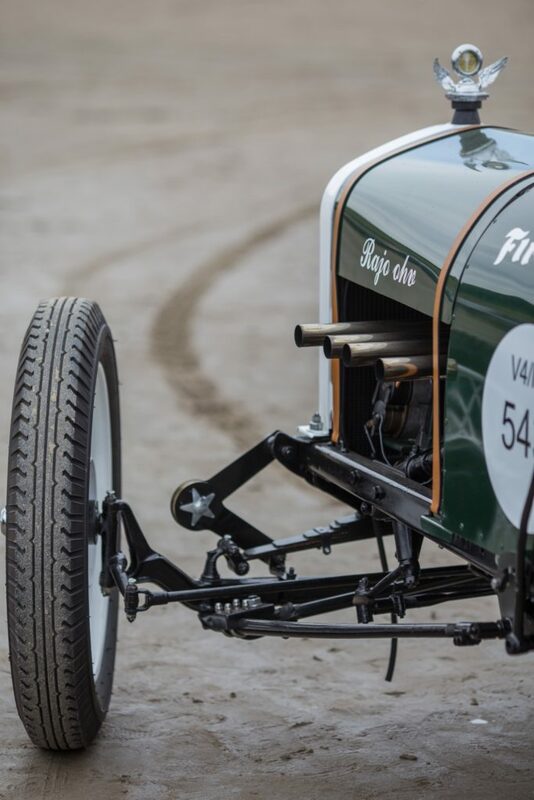 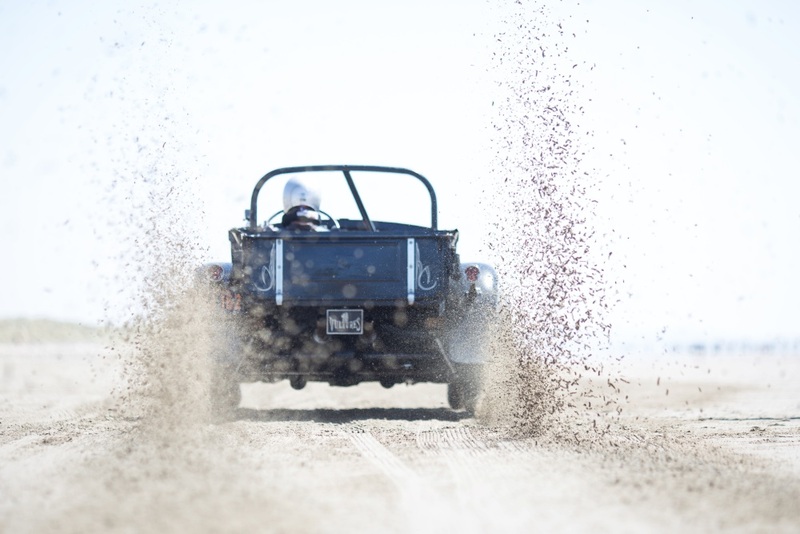 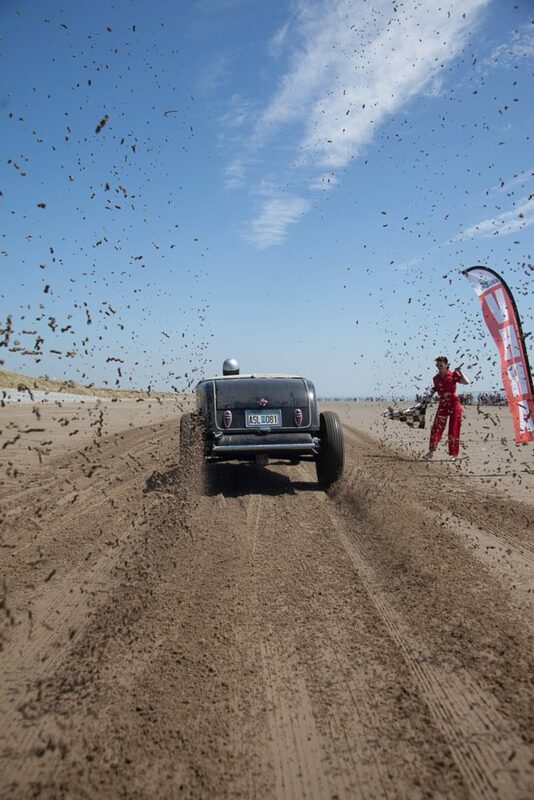 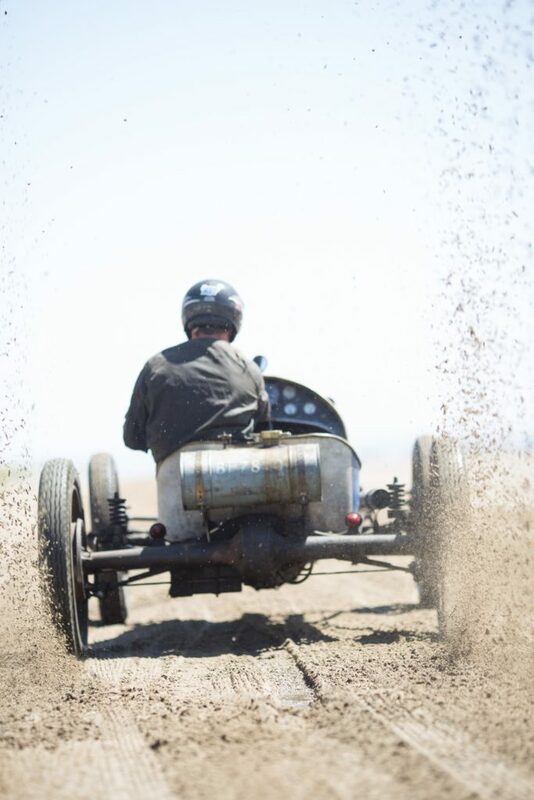 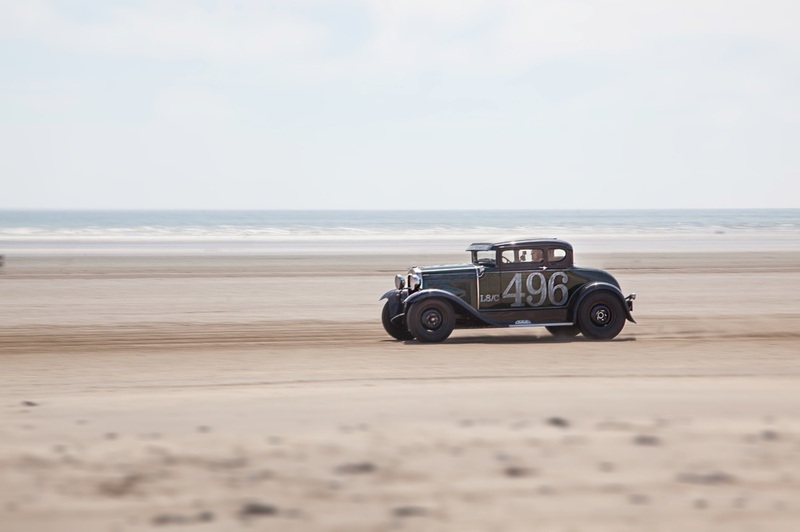 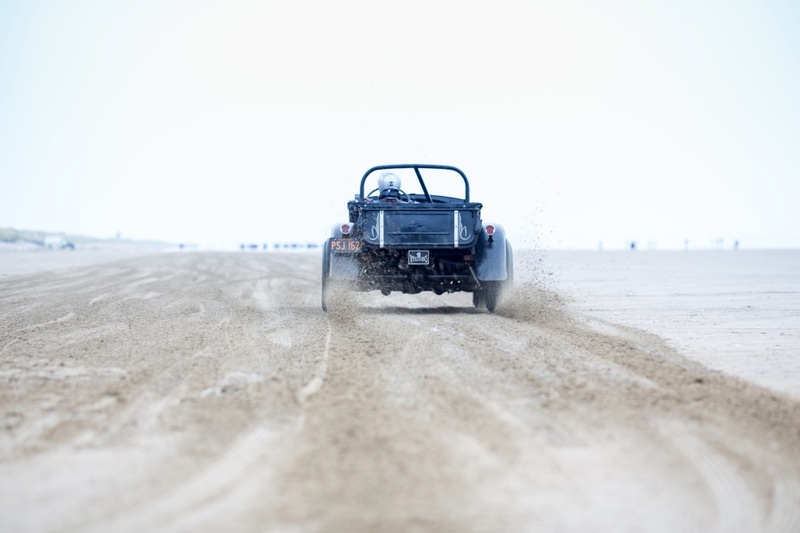 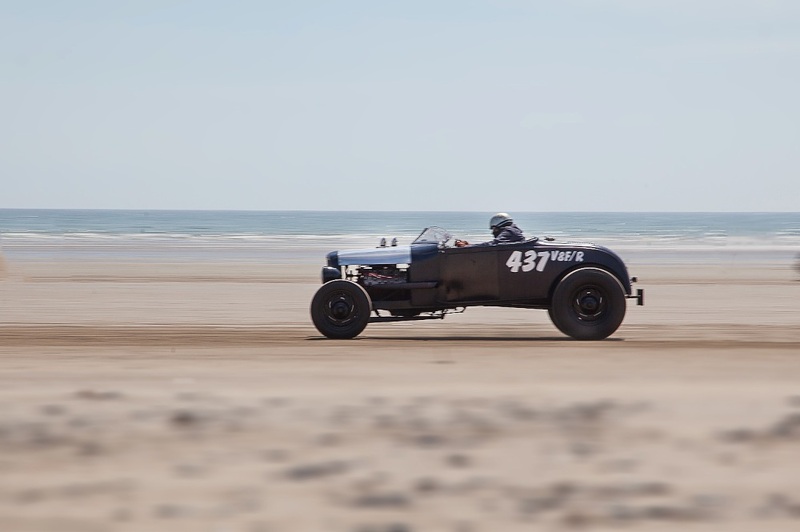 The racing on the beach was non-stop with every variation of Vintage style Hot Rod hammering it down the beach in a bid for a new personal best or ultimately a class record! 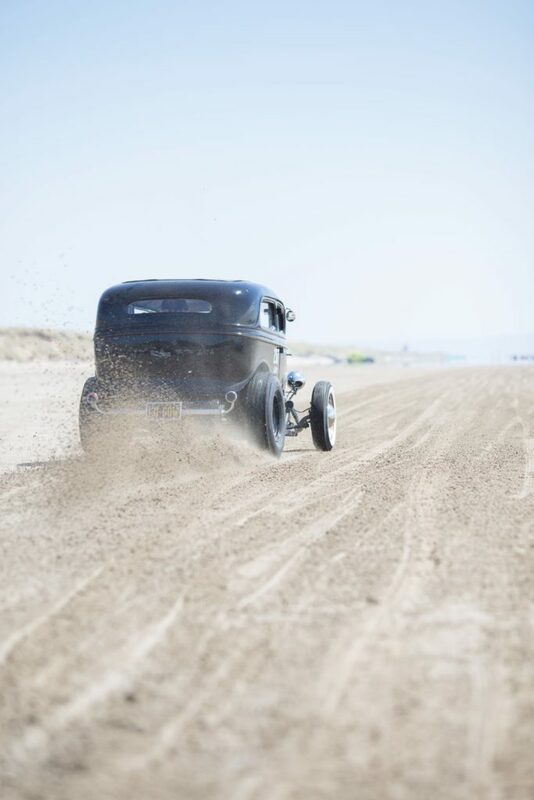 With the sun still not letting up the sand was getting pretty fluffy up the top end and after a few wobbles and Johnny Diablo demonstrating high speed reverse parking in his A Coupe racing was called to an end for Saturday. 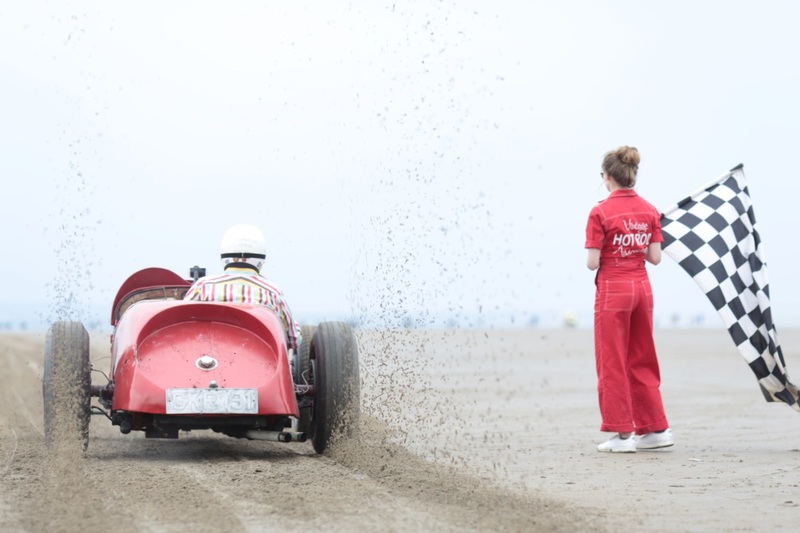 There wasn’t much time for bleary eyes on the Sunday morning, as the pits went up on the receding tide and a day of flat out racing began again. 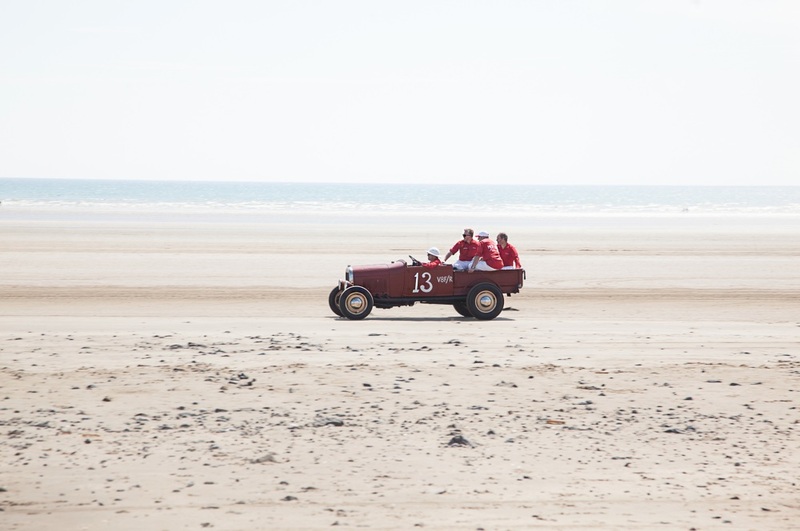 Everybody at Pendine pushes hard on the Sunday , better to break it on the second day, than endure just watching from the sidelines. 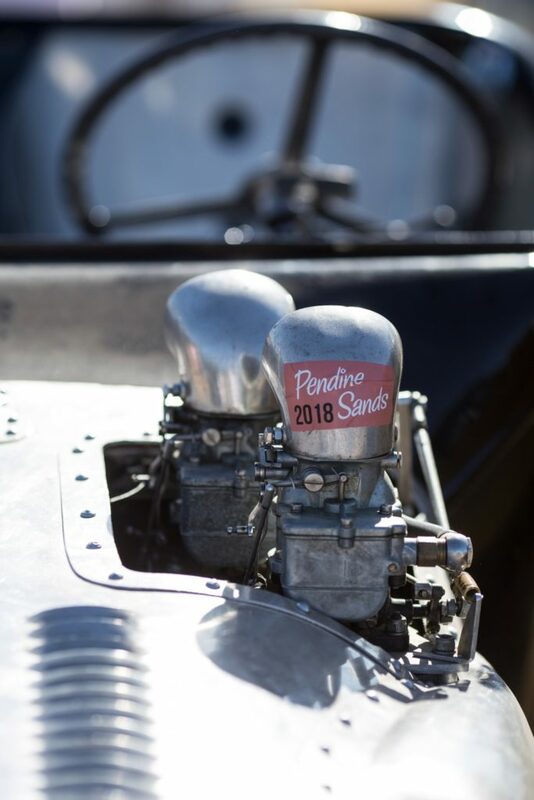 In the end and for the third time it was Matt Farrant taking the fastest title, with a late Sunday killer run of 118.08mph and in a car he then drives a few hundred miles home in. 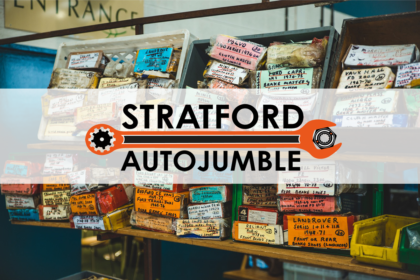 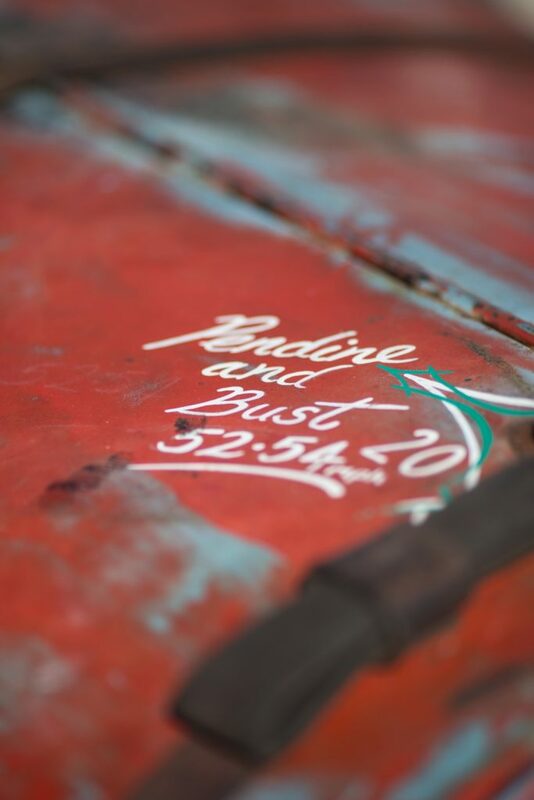 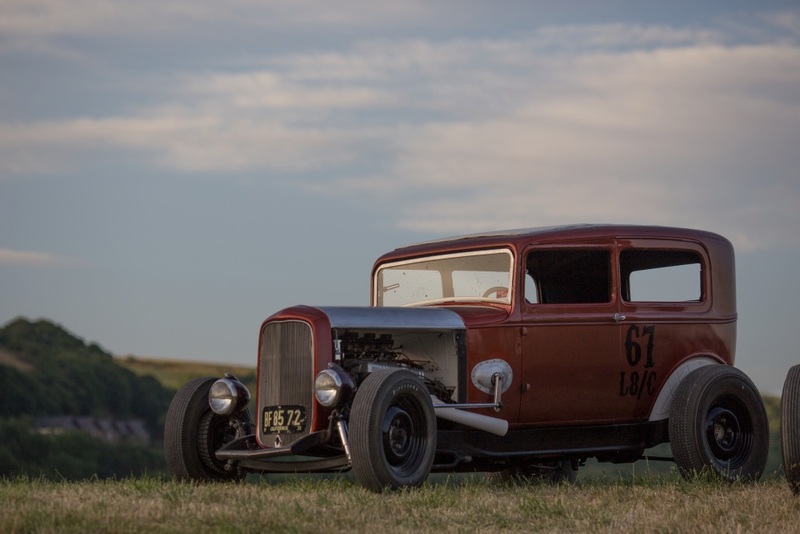 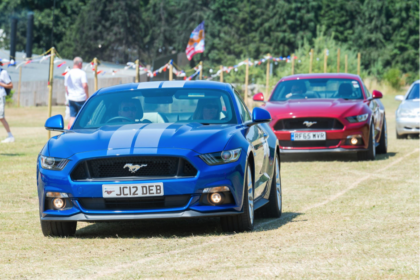 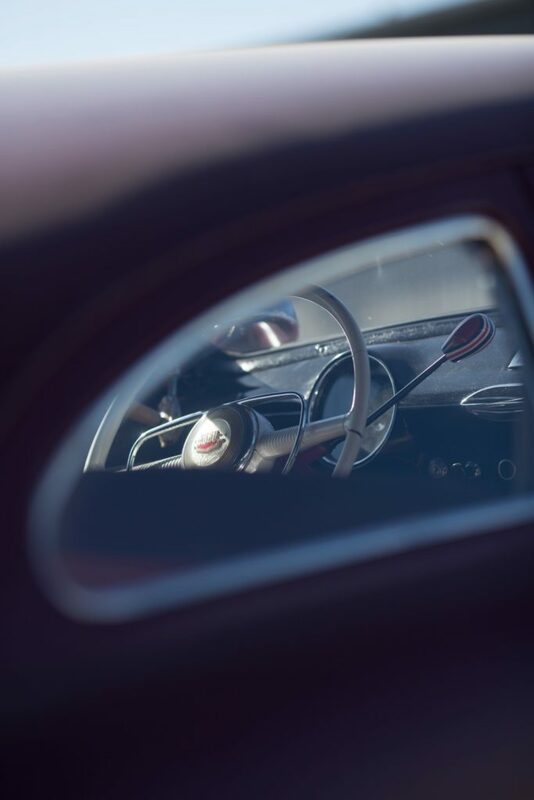 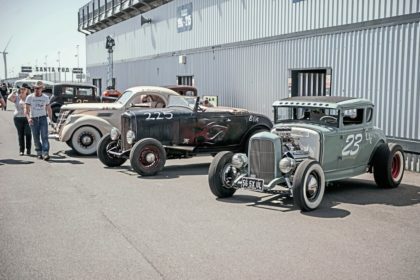 This award-winning event remains the highlight on every European Hot Rodder’s calendar, and as well as being well run it’s authentic and a great showcase of traditional hot rods.